Marketers have been wondering for years if print is dead. With each year that goes by, brands who make a living through print advertising continue to promote its benefits. While some companies can easily see the value in print advertising for their business goals, others need more convincing. The following print ad trends for 2018 will break down how print is being used, and how you can benefit from a print media advertising strategy this year. One reason why print media has continued to thrive is its embrace of digital media. Print advertising has learned to include digital mediums to make a more rounded experience for customers. This fusion of print and digital marketing campaigns shows how print is changing into a hybrid form of communication. For example, including Instagram or Twitter info on a business card in place of cellphone numbers and physical addresses is becoming a more popular method of communication. Using the printed business card to connect people to your digital platforms or business web site is just one way that print and digital marketing are becoming one. Instead of being rivals, the two mediums are working as complementary forms of communication that reinforce and improve each other. Print marketing can work as a way to guide your customers to your social media platforms and web site, thus building a system of brand engagement that runs both online and offline. Distributing printed coupon codes through direct mail or in newspapers and magazines has been a tested and true marketing strategy to attract new customers for years. In 2018, brands can expect to see a rise in unique coupon codes that can be used for more than attracting prospects and boosting sales. These new coupon codes are expected to generate a higher return on investment (ROI) than generous ones because they provide comprehensive personalized details. This means customers will feel valued on an individual level. Unique coupon codes can also be used to track customers to gain a better understanding of your audience. Information gathered from these codes can be used to develop stronger business to business (B2B) relationships, while also increasing ROI and customer profiling. Print is already a highly personal medium, but you can take it a step further by personalizing them to reach customers on an individual level and build a stronger relationship. You can implement techniques like custom poster printing, personalized flyers, and direct mail, which give your marketing strategy the edge. You can even gather online data about your customers’ preferences, and include them in your print marketing ad. This way you will help them find the product they have been researching online. Native advertising is a phenomenon that matches the form and function of the platform upon which it appears. In other words, native ads blend into the content that the consumer is already seeking out. This strategy has bloomed on the web, and opportunities also exist for it in print. It has never been more challenging to offer ad-wary consumers a native ad, as consumers are more sensitive to phony endorsements and sponsored posts. The challenge for brands is to find a way to appear authentic, and be authentic. Instead of posting flashy ads in your customers’ faces, provide tasteful content that appeals, entertains, and informs without making your sales pitch too obvious. Since print is so versatile, you have tons of ways to creatively achieve this goal. Print is best viewed as an art form—a poster can be visually stunning and your campaign can, too. Appeal to your prospects by doing more than simply presenting a call to action or giving them information. Consider using compelling and interesting visual images to convey an aspect of your story. Whether the image represents your ethos, history, future, or your latest product, combining it with effective copy can bring together an incredible story that will turn your prospects into loyal customers. Color can make or break a good print design, as it is able to change our mood. Color experts say that blues and oranges evoke a resourceful mood, yellow evokes playfulness, pink evokes discretion, and gold evokes sophistication. Rosy tones are a good option if you want to reach a diverse crowd, as the palette reaches out and embraces different cultures. In 2018, bold colors are making a comeback as they are a natural application of our intense lifestyles and thought processes. Choosing the right colors can make your ad pop and stand out from the rest. If you want your print media ads to be compelling to your readers, you will need to combine art and skillful copy. You need to stand out from the junk mail your target audience receives, but encourage them to read by doing more than shouting out a call to action. Your print media ad needs to tell a story, whether its about your product, brand, service, or how your offer will provide a solution. Augmented reality (AR) projects images from a computer into a live, physical space. Its effect is a kind of visual overlay, instead of a complete immersion experience. Users will wear technology such as goggles, glasses, or other wearables that control the images seen, and they can navigate their experience using a touch pad, remote, or voice command. This type of technology was primarily rooted in gaming and entertainment, but now it has multiple applications. Some of the ways AR is used today include shopping, architectural and interior design, and construction. Brands are experimenting with AR, using it as a means to project their products into a space. Clothing brands can project outfits onto the user’s body; furniture designers can project a couch into a living room; painters can project different colors on the walls. Because of AR, consumers can gain more product information and the opportunity to test out a variety of products at home or in store, without needing to interact with the product itself. Major studies have shown that referrals from friends and family members are the most trustworthy and effective form of advertising. About 83% of study participants said they would somewhat or completely trust a referral that came from someone in their social circle. Second to referrals are branded web sites, which work as a popular, native advertising option that allows digital audiences to view valuable information about a company in unique formats. The way consumers talk about a product online is the third most trustworthy way to advertise. Many shoppers seek information from online reviews, testimonials, and consumer brand advocacy samples before buying. Since referral programs are the most trusted form of advertising, setting up a referral program among your customers will help you naturally gain new leads as your customers share their positive experiences with your products. Quick response (QR) codes are similar to barcodes, but they generally lead to a web page. They are a must-have in your marketing strategy, as they allow users to scan the code on their phones or mobile devices and be direct to your landing page to view your products, videos, downloads, games, questionnaires, map directions, or services. You can also use QR codes to take your customers to pages where they can get freebies or special offers. The great part about QR codes is they take readers from your print media platform to your digital platform and create a smooth connection between your outlets. If you want to engage with your customer base all year, seasonal printing is a great option. You can print catalogues in the spring with items that are designed for outdoors or warmer weather, and send out another before the winter to introduce appropriate products. This is especially great for fashion brands that aim to target their customers with items they would need each season. You can also target your customers based on seasonal trends in other industries. Understanding what your customers want and what they are seeking at these different times of year will help you distribute the right marketing material. Readers’ eyes are drawn toward things that move or shine, and you can use this to your advantage in your print marketing campaign. If you want your material to be eye-catching and grab your reader’s attention as they pick it up or turn the page, use foil stamping! This technique is underused but creates a beautiful metallic and holographic effect. It looks great when used over simple designs and can increase the lifespan of your print ad. Customers tend to hold onto beautiful ads and marketing material longer than simple, dull ones. One of the reasons why print media has continued to show success as a platform for marketing and advertising is because it allows the reader to physically interact with the material. Tactile sensation has one of the biggest impacts on memory. When someone holds an object, it creates a sensation that helps the reader identify with its content. You can experiment with embossed or debossed text, raised ink or finely detailed folds, and quality card stock. You can choose glossy paper for a smooth texture or choose a dry matte for a more rugged feeling. What audience would benefit most from my product features? What is their age, location, gender, income level, marital status, education level, occupation, and ethnic background? What are their values, personality, interests, and lifestyle? Asking yourself these questions will help you ensure your message is specific to your audience and choosing the right mailing list can help you reach these people directly. Creating and executing a direct mail campaign can be difficult, even if you follow these trends in print media advertising. That’s why working with a professional marketing agency is a great choice. They can provide you with quality mailing lists that go directly to the people who are mostly likely to respond to your ad. 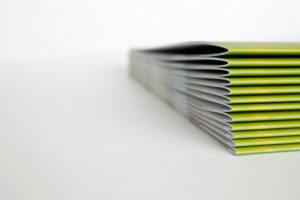 They can also help you create print media marketing material in unique formats that will stand out. Print media advertising continues to provide advantages for brands around the world, so if you want to benefit from the same advantages, now is the time to change things up. Improving your marketing strategy is actually more straightforward than you think. It doesn’t take much to make your ad campaign inspiring and creative as you promote your products or services. Standing out from the crowd and engaging readers is essential to growing your customer base and getting them to visit your store or web site. If you want to experience the advantages of a successful print media strategy, you may want to seek direction from the experts. Macromark can help you set up a successful print advertisement campaign. We can provide all the information, advice, and assistance you need to get your print marketing campaign up and running. Our services also include print media, direct mail marketing, list brokerage, data solutions, list fulfillment, and list management. For more information about how we can help grow your business, contact us at 1-(845)-230-6300.